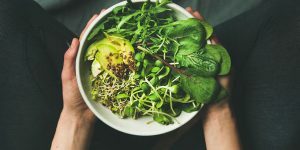 PETA has taken it upon itself to explore the offers of US meal delivery services and determine how vegan-friendly they are. The companies received grades on a scale from A to F, based on how many vegan options they offer and how easy it is to order their vegan meals. Find out which companies got the highest score and which ones failed to impress. You don’t have to worry about preparing food for your kids every day and trying to be creative all the time. Yumble has found a way to keep your children’s diet healthy and diverse, so you don’t need to search for new recipes on a daily basis. Find out more about this amazing meal delivery service for children in this short and informative post. The Home Chef team is always full of great ideas, possibly the greatest of which is the 5-minute lunch concept that was introduced this October. Now, you can make a tasty, healthy lunch on the go, in 5 minutes or less, by just mixing the ingredients you get in your Home Chef box. If this sounds interesting, you can find out more in this quick post. Christmas is a wonderful holiday, but cooking for the whole extended family can be a bit frightening. 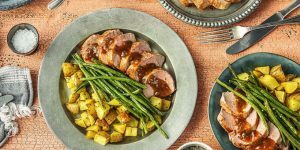 That is why HelloFresh has designed its amazing Christmas box that comes in two versions, basic and premium, and can feed between 4 and 10 people. Discover one of the easiest ways to cook a perfect Christmas dinner in this informative post. Blue Apron’s consumer IPO was as heavily anticipated as it was disappointing and now the company is trying to do everything possible to recover and get back on track. 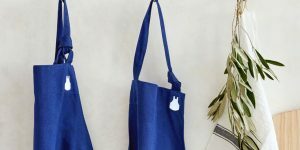 In this post, we bring you the latest news about the major layoffs at Blue Apron and remind you of the unfortunate events that led up to this painful company-wide realignment. Chef’d is known for its partnerships with major food brands and now it has great news for its customers on plant-based diets. 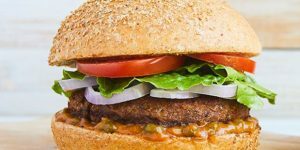 The company has recently started offering Beyond Meat plant-based burgers, as well as a couple of other interesting veggie kits. If you are a fan of Beyond Meat meals, you can learn more about this offer in our quick report. 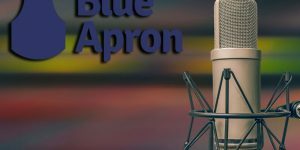 Blue Apron has gone from podcast advertising to creating its own podcast centered on all kinds of food-related topics. While customers may have mixed feelings about this, so far it seems that the show may be well-worth your time. Find out what the podcast is all about, who hosts the show, and what the creators have to say about this exciting project. 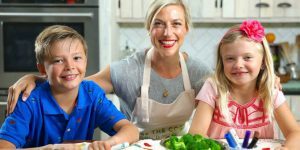 Recently, the creators of Marley Spoon proved that high quality does not have to come at a great price by launching Dinnerly, the incredibly affordable meal kit service. After its initial success, Dinnerly has now expanded its delivery area, making budget-friendly kits available to nearly everyone in the US. Find out more in this informative post. 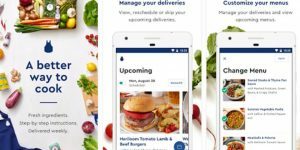 While Blue Apron app for iOS has been available since 2015, the popular meal kit service took its time developing its Android app and finally made it available to its customers in September 2017. 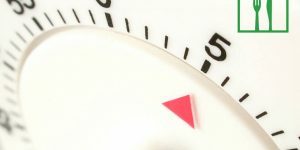 In this short blog post, we explore the variety of options that this new app offers to its users and allow you to discover whether it was worth the wait. HelloFresh has done it again. 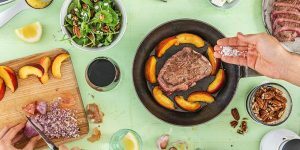 This hugely popular meal delivery service has expanded its offer to include incredible, chef-crafted 20-minute recipes. This is the best news we have heard in a while and we were more than happy to try out these speedy delights and report back to you, so you can be among the first to find out about this amazing novelty.